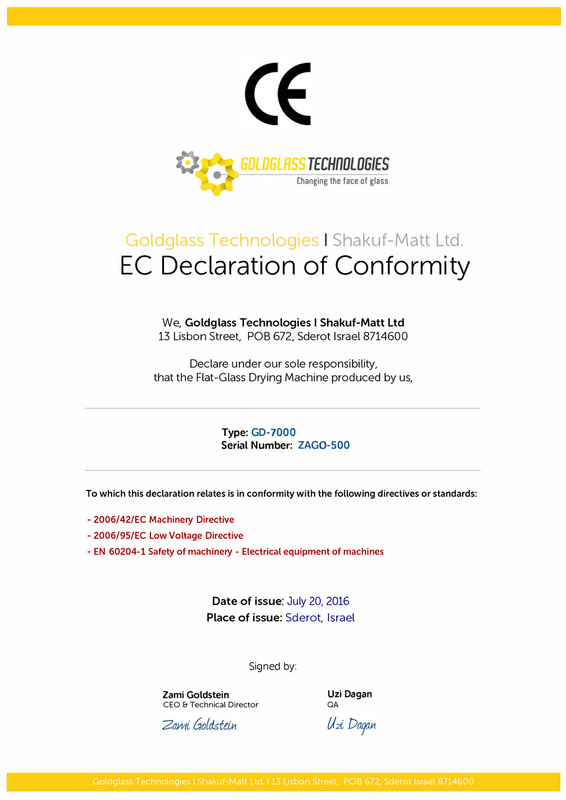 The cutting edge GD7000 dryer is the newest member in our Goldglass finishing machines family. 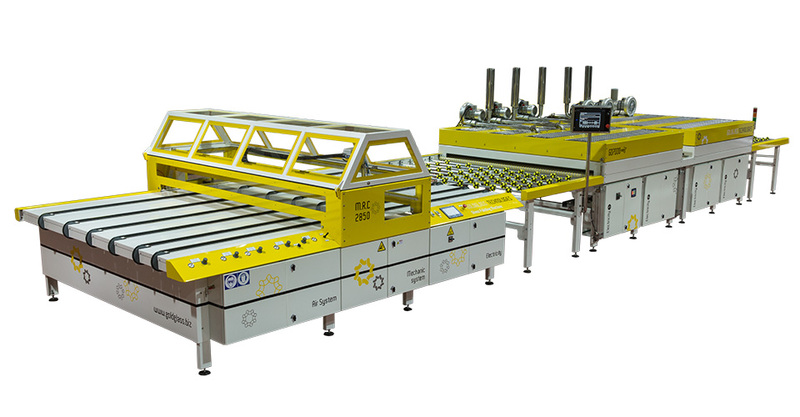 Just like its elder sister, the M.R.C-2350-CI/M.R.C-2850-M painting machine, it is characterized by simple operation, economic energy consumption and high efficiency. Not only that it won’t splurge on kilowatts, but thanks to its compact dimensions and smart design it will also use up as little of your precious floor space as possible. Quality IR (infrared) elements specifically tailored to fit various painting materials. IR layout matching actual glass width, providing for accurate heat application with no energy loss. Separate temperature controls for each heating zone – simple to use and adjust. Built-in gas exhaust system, significantly improving the drying process. Advanced cooling module, facilitating further procedures without delay. GD7000 is fully interfaced with the M.R.C-2350-CI/M.R.C-2850-M, so if you are already enjoying our top notch painting machine, GD7000 will only enhance your overall finishing process to perfection. 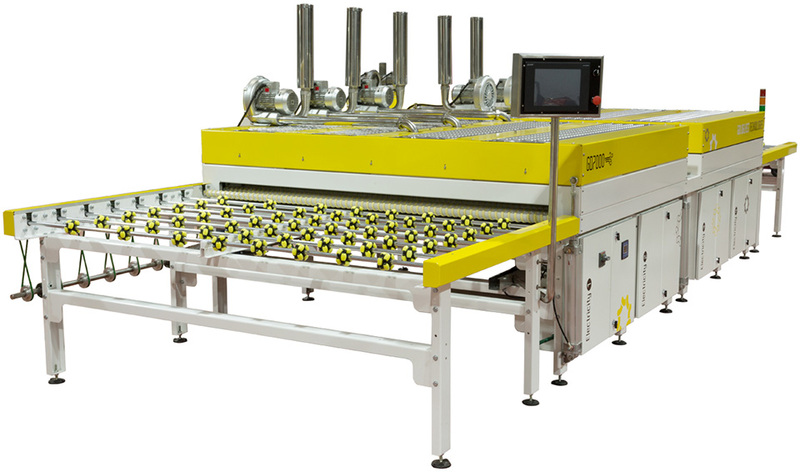 However, GD7000 can be purchased as a stand-alone as well, as it is easily adaptable to any existing painting machine. Get yourself the new GD7000 and find out how one wise decision can provide you with increased drying power and a higher quality finished product – while cutting down your power bills and introducing you to a new standard of efficiency, with drying times shorter than ever.